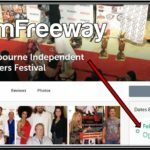 Filmmakers – are you ready to send your entry to the Melbourne Independent Filmmakers Festival? The deadline is just around the corner! Get your regular film submissions in by July 4, preferably via Film Freeway. Meanwhile, there’s an extended deadline for the Tie Up Loose Ends competition, in which filmmakers take an open-ended screenplay and end it however they wish. There is no cost to submit to the competition, and now you have until July 31 to submit your completed Tie Up Loose Ends film. 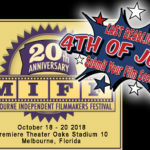 Go to this Film Freeway link and select “Loose Ends Competition” under “Submit Now.” Read more about the competition guidelines here. The Tie Up Loose Ends script is here.